"I've become stronger, haven't I? But I'm still not there, am I? I have to become even stronger...or you won't recognize me." "Stand up, my avatar...Ride! Blaster Blade!" Anime Biography: Series protagonist. A somewhat timid, but gentle boy who has been bullied regularly. 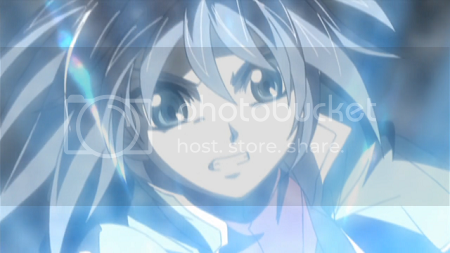 Four years ago, Aichi had a sudden encounter with Kai Toshiki, who encouraged him to become stronger and more outgoing. Since then Aichi has respected Kai deeply, and made every effort to engage him in a Vanguard fight. Sendou Emi is his sister, and Sendou Shizuka his mother. 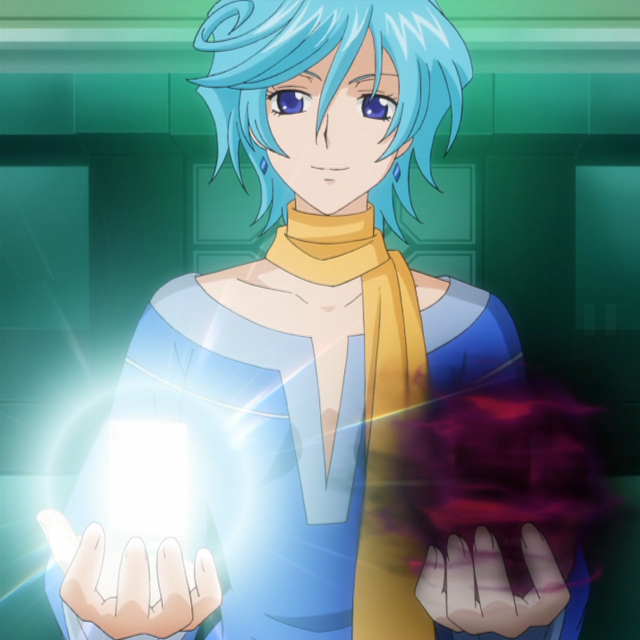 The first season's initial episodes focus on Aichi's personal and emotional growth, as he learns to trust in others and stand on his own feet. This is the time at which Aichi makes the most mistakes in the series, as he is still a beginner, and where his primary character flaw of pursuing greater strength without regard to the harm he does to himself first emerges. With prodding from the manager, Nitta Shin, Aichi eventually enters Card Capital's shop tournament and qualifies to enter the Kanto regional competition. Together with Kai, Misaki and Kamui, Aichi forms Team Quadrifoglio to represent his shop. Despite making it past the Kanto regional, Aichi's team is crushed by the competition at the national tournament, withdrawing with a 1-2 win-loss ratio. It's at this time that Aichi first loses faith in himself and those around him, right as he learns that Kai is a former member of the Foo Fighters--the team which ousted his from the national tournament. 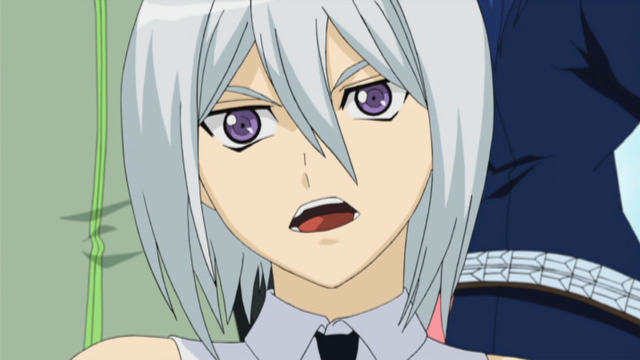 AL4's leader, Suzugamori Ren, convinces Aichi that he is the weak link on Q4, and that if he had won even a single match at the nationals, they would have made it through the elimination round. While Aichi attends the joint training camp between Team Q4 and Team Caesar, his self-doubt lingers. At this point, the Qualia that he first felt at the Kanto regional begins to emerge in earnest, and Aichi starts ceding more and more control of his fights to this mysterious power. From rides 35-42 Aichi begins a gradual descent. His obsession with power blinds the boy, as he continually slips deeper and deeper into PSY Qualia's promises of strength, while losing sight of why he first sought to grow. Rather than make new friends, Aichi pushes others away. And though in ride 23 he was only receptive to the Qualia of others, able to sense--and feel great pain from--the presence of Suzugamori Ren, by 35 he can "hear the voices of the cards" and is no longer the master of his own deckbuilding. As time goes on Aichi's skill with PSY Qualia develops, until he can foresee strategies and start to torture his opponents with visions of Cray. This power does not come without its drawbacks. PSY Qualia saps Aichi's physical strength, leading to his repeated collapse in the second Kanto regional and Tokyo national. 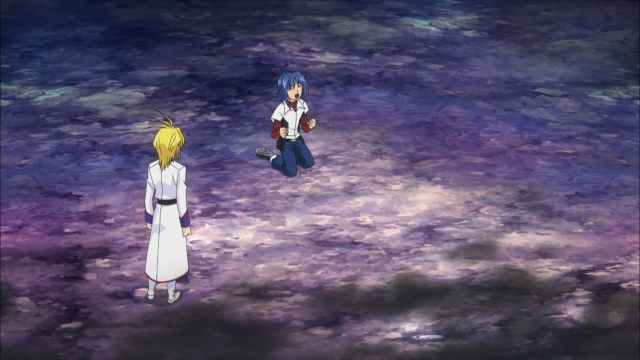 From rides 43-50 Aichi's relentless pursuit of strength wears on him until it brings the young fighter to his knees. 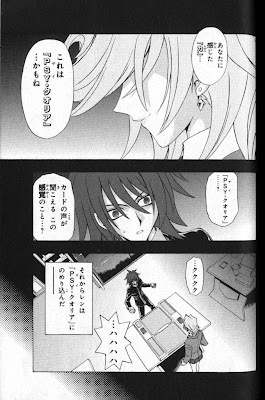 The power of PSY Qualia gradually turns Aichi into a second Suzugamori Ren, until Ren himself is drawn to the boy and accelerates the Qualia's growth by offering Aichi a Shadow Paladin deck. In a vain attempt at securing himself as invincible, Aichi agrees to use the Shadow Paladins in his upcoming national fights, and in doing so sees his team past the elimination round where his Royal Paladins had failed him once before. "I've gotten stronger. I'm not the same person that I was long ago. Why? Why won't you understand?! I'm strong! I got strong!" "Now you'll admit that I've gotten strong, right?! To fight you! Come on, look, Kai! This is my power!" Surpassing Qualia before the boy's very eyes, Kai breaks Aichi's strategy using his friend's Royal Paladin deck against him. Kai pulls a surprise move by riding what was Aichi's signature card in the manga, Alfred Early, to make Aichi understand that real strength is found in the self and one's friends, not in the abstract supernatural. Realizing that Qualia has only made him weaker, Aichi surrenders and takes back his old deck, reconstructing it to face off with Ren in the national competition. Aichi approaches Suzugamori Ren during the opening ceremony, attempting to return his old Shadow Paladin deck. With disdain for the separate path Aichi has chosen to walk along with PSY Qualia, Ren casts aside the cards, marking Aichi as his enemy. 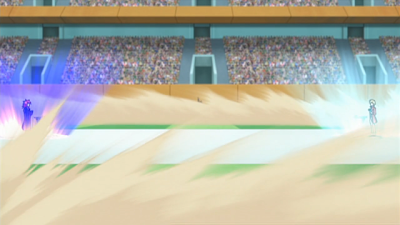 On the first day of the final rounds, he pulls off an advanced form of his old Blaster Blade tactics, defeating former national champion Mitsusada "Koutei" Kenji with an Alfred Early ride. Playing his Royal Paladin deck flawlessly, Aichi wins Q4 into the last match against AL4, but that same night is called in by Kourin of Ultra-Rare to witness Kai and Ren's fight at the Foo Fighter HQ. There Aichi sees Kai floored by Suzugamori's Qualia. In the battle's aftermath, Suiko approaches him with a contract, offering Aichi a choice between a card of darkness and a card of light. Before Aichi can give his answer however, the cards spontaneously converge into Majesty Lord Blaster; Suiko offers no explanation, stating only that she believes this card to befit him. In the final match Sendou confronts Suzugamori directly, accusing him of making a mistake in rejecting Kai, who had risked himself to reach and save Ren from his wild power. Ren resists Aichi's attempts initially, instead luring him into reawakening his PSY Qualia. At the moment that Sendou is prepared to show Ren despair, their mutual PSY Qualia finally achieves Ultra-Rare's long standing goal, synchronizing Suzugamori and Sendou's fight on Earth with the ongoing war between Royal and Shadow Paladins on Cray. With Kai's intervention however, Aichi breaks free from his Qualia's grasp once more--only to be left too weak to fight back against Ren, and in question of just who the real Sendou Aichi is. Unable to guard Phantom Blaster Overlord, Aichi barley scrapes by in the final battle of season 1, pulling a sixth damage heal trigger. 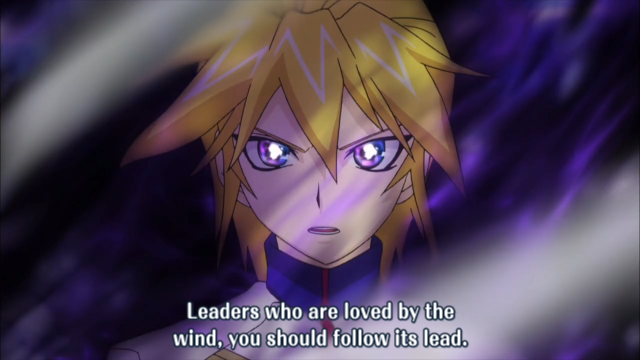 In his last turn Majesty responds to the boy, and firming his resolve, Aichi states that he is both the Sendou Aichi who craves power and the Sendou Aichi that rejects power. Turning both light and shadow on Ren, he finishes the battle between them and the war between paladins with Majesty Lord Blaster's skill. In the ensuing clash, Ren is pulled back to reality. 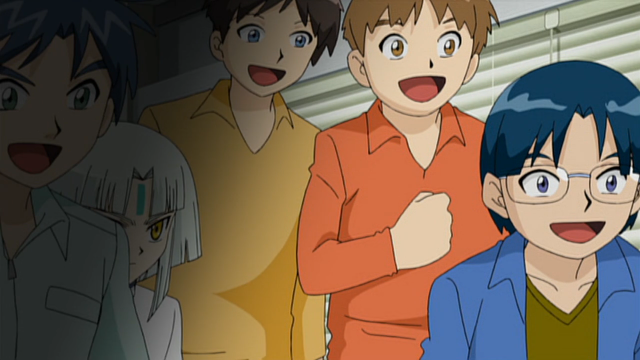 Aichi is crowned Japan's fourth national champion, and following the tournament decides to be the Aichi he always was. After that day, he can no longer feel PSY Qualia. Rather than being bothered by it however, Sendou chooses to fight with his own strength, and not borrowed power. During Asia Circuit, Aichi reprises his role as the captain of Team Q4. For this season he switches over to the Gold Paladin clan, using the Incandsecent Lion, Blond Ezel and the Great Silver Wolf, Garmore. While teaching a new player the rules of Vanguard, Aichi is suddenly drawn into a vision of Cray. Witnessing firsthand the sealing of the Royal and Shadow Paladins, as well as the Kagerou, when he awakens Aichi finds his deck to have been replaced by a Gold Paladin one. Disoriented, he finds that the rest of his teammates believe that he had always used a Gold Paladin deck. This sudden change comes just in time for Team Q4 to receive a formal invitation to the Asia Circuit in Singapore, hosted by the Tatsunagi Financial Group. 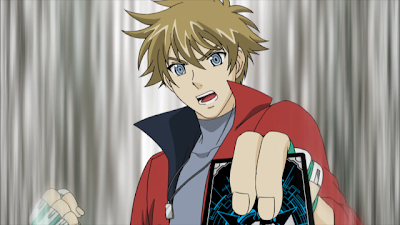 Although devastated by the theft of his deck, Aichi quickly reconciles that he needs to assemble the team and fast. 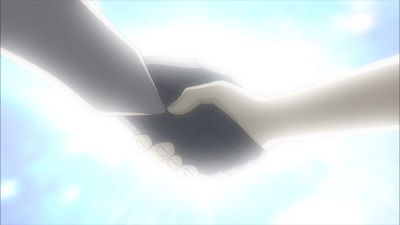 After besting Kamui in a fight, he's able to get his comrade traded from Team Handsome into Q4 for the season, and Misaki agrees to attend immediately. Kai however, resolves to find his own path to Takuto. In Singapore, Sendou misses his chance to speak with Takuto directly, interrupted by the Tatsunagi spire's security. To his surprise, Kourin of Ultra-Rare is familiar with the company top, and assures Aichi that success in the Circuit will allow him to meet his mysterious stranger. Receiving the Incandescent Lion, Blond Ezel as a gift from her, he rebuilds his deck to account for the new card and musters the determination to face the Circuit head-on. However, Aichi's progress comes to a roaring halt when Tatsunagi Takuto appears before him in his match with Christopher Lo during the tournament finals. Takuto forcibly awakens the two fighters' slumbering Qualia, setting a power-mad Lo on Sendou while Aichi, bewildered and suddenly unfamiliar with Qualia, finds himself unable to rely on the power. Because of his hesitation, Q4 fails in both Singapore and Seoul, the finals of which are played against Team New AL4. Losing to Suzugamori Ren's revived PSY Qualia and his Spectral Duke Dragon-style Gold Paladins, Sendou is devastated by his loss to his own clan. Spending the following training camp abroad at a resort island, Aichi is advised by Suzugamori to give in to Qualia. 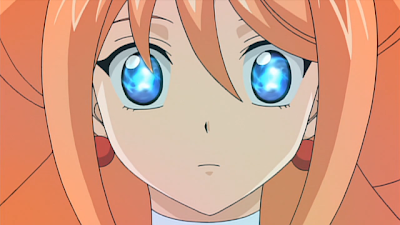 However, Ren cautions Aichi that even if he uses the power, he's not guaranteed to win; as Koutei demonstrated versus Ren in Seoul, and as Aichi had in the Japanese finals, PSY Qualia can be surpassed. Using his old Royal Paladins as inspiration and accepting the Gold Paladins as his comrades rather than as tools, Aichi then constructs a new deck to retrieve his sealed clan with, making its formal debut in Hong Kong. 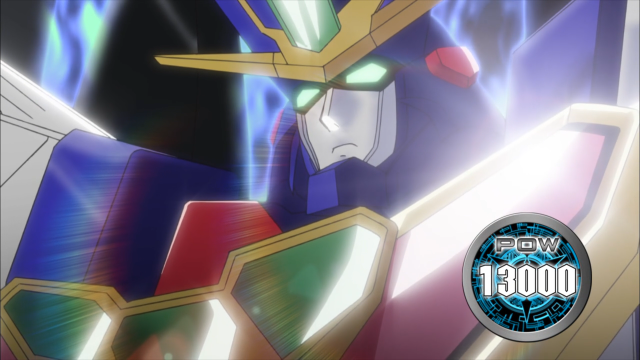 This ends in failure due to his defeat at the hands of Souryuu Leon, forcing Aichi to reconcile his defeat with what he had learned at the training camp. One more time, Sendou approaches Suiko at the card shop PSY, seeking help from Ultra-Rare in becoming strong enough to pass through the final stage of the Circuit, the Japan stage. Although confident at his strength within his own country, Aichi is nonetheless overcome with doubt from his failures at Singapore, Seoul and Hong Kong, and these doubts manifest in full in his third fight versus Kourin. Ultimately Aichi defeats her by mastering the Gold Paladin play style, and leaves PSY with a new card handed out to him spontaneously by the shop, seemingly in response to his growth. Aichi then restructures his deck once more, this time redesigning it around two cards; the Incadescent Lion, Blond Ezel that he received from Kourin, and the Blazing Lion, Platina Ezel that willed itself to him. Following the close of the Japan Stage of the VF Circuit, and the start of the Final Stage, Aichi is able to finally achieve his goal of reaching Takuto. 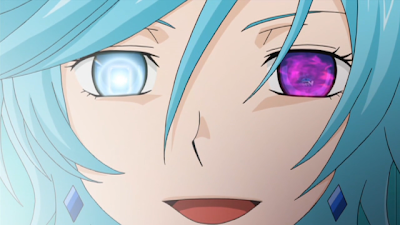 Within moments however, he and the other qualified cardfighters are drawn into a space created by Takuto to connect Earth to the planet Cray. There, Takuto reveals the full extent of his plot. The sealing of the three clans was masterminded by Void, a malevolent force of nothingness which seeks to overtake Cray entirely and wipe out all life. This was done to cripple Cray and prevent it from fighting back, and the plot worked, throwing the once-united planet back into chaos. Just as Suiko once manipulated Aichi and Ren to create individuals with powerful Qualia to put an end to the civil war, without regard to ethics or the sanity of those individuals, Takuto orchestrated the VF Circuit to select for four such individuals to lead Cray out from the chaos and defeat Void. However, the plan is not perfect. Souryuu Leon, the last heir to the Souryuu family and the legendary savior of both them and Aqua Force, infiltrated the VF Circuit as a double agent for Void. With his wildly-evolved PSY Qualia and mastery of the powers that Void handed to him, Souryuu betrays Tatsunagi, draining him of his own powers and leaving the boy for dead. When accused of betraying Cray itself, Leon reminds Takuto that the Tatsunagi family is not sinless. Despite later claiming to "trust" the leaders that he selected, Takuto used the VF Circuit winners as pawns just as Leon is now using him. To prevent the total annihilation of his family line and unseal the Aqua Force that had been abandoned by the clans that he is now turning the tide against, Leon is willing to temporarily bend his knee to Void. Encouraging the others to listen to their own wind rather than Takuto himself, Leon makes headway for the end of the constructed space, reinforcing himself with Void's power in preparation to do battle with any who would stand in Void's way. 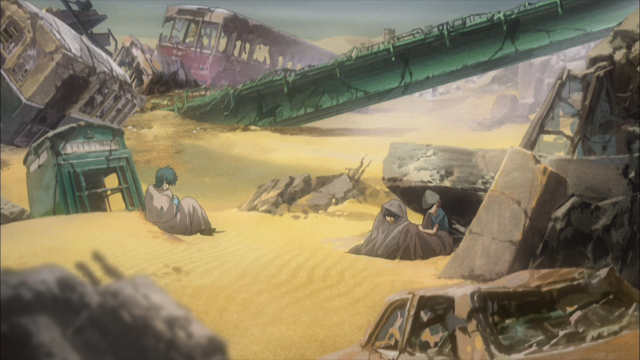 "The tragedy that once befell the Souryuu people will happen to the entire Earth. The land will rot. The seas will dry up. All of Earth's blessings will be lost. All of life will be robbed of the will to live...Earth will become a planet of death." With the leaders scattered inside of the space, Sendou consults Takuto for advice. Claiming that Leon's ambition is blinding him and that, should Void complete its journey from Cray to Earth through his space the entire world will feel the Souryuu tragedy, Tatsunagi persuades Aichi to use his Qualia to hunt down Leon and defeat him. Losers are not permitted to exist inside of the path to Cray. To lose a cardfight there is "the same as death," so by exploiting this principle they can stop Leon and confront Void directly. 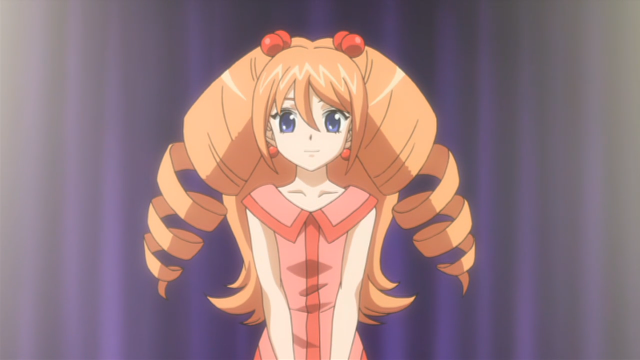 Aichi agrees to Takuto's plan, and along the way receives guidance from the sealed Blaster Blade, but finds his path obstructed by Chris, whose Qualia has evolved completely beyond his control and left him as the same shell of his former self as Aichi had been late in the first season. To oppose him, Sendou brings out his Blazing Lion crossride and seizes the power of an ultimate break, completely overwhelming Lo and upsetting his "foregone conclusion" just as Kai had once done for Aichi. While Christopher is brought back to his senses before vanishing from the space, the delay ends in unnecessary casualties. 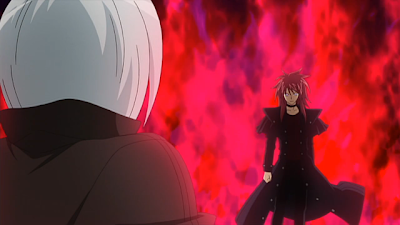 Aichi arrives too late to confront Leon himself, leading Kai and NAL4 to take his place. 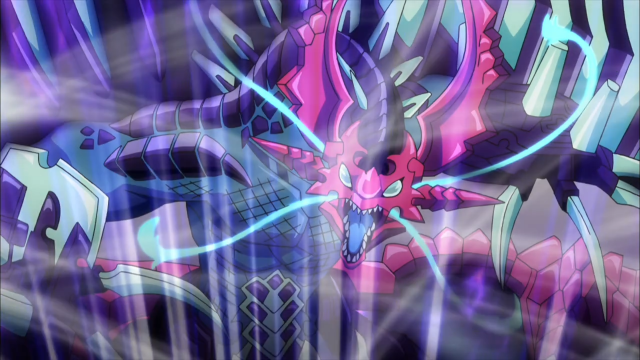 Despite Kai having his own legendary crossride, Dragonic Kaiser Vermillion "THE BLOOD" to fight with, Leon's Qualia renders himself virtually invincible and brings out Aqua Force's own keystone play. 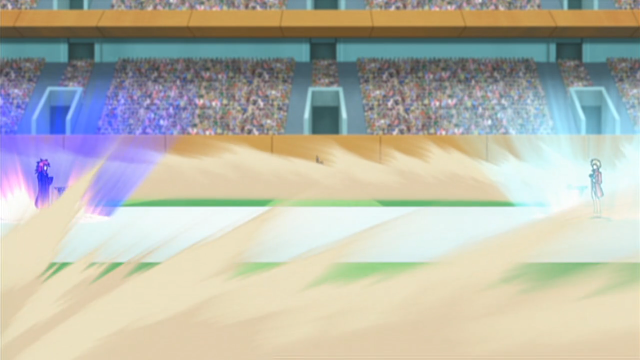 Like Chris, Kai has suffered defeat, and disappears pleading with Aichi to stop Leon. The fight is an uphill battle for Aichi, with no clear way for either side to take advantage. For every move that he makes, Souryuu has a countermove prepared, and Sendou is forced to call on the power of his PSY Qualia that he had once resisted, to destroy Leon. Just when it seems that the tide would have turned however, with Blaster Blade spontaneously responding to his feelings as the Gold Paladin Blaster Blade Spirit, Souryuu raises up his own trump card: Blue Storm Supreme Dragon, Glory Maelstrom. Back into a corner and wholly reliant on a heal trigger to bring him through, Aichi turns to the borrowed power of the Gold Paladins and Platina Ezel to finish off Glory Maelstrom, repelling Void from Cray. In the final stage held the next day, in the finals Aichi once more defeats Christopher Lo, becoming the VF Circuit international champion. At the start of Link Joker, Aichi transfers into Miyaji Academy for high school, where he finds his hobby put down by peers and teachers alike, who are more concerned with academic studies and issues of globalization than games. Having to cope with being talked down to like a child and unable to find a school club or friends to fit in with, Sendou eventually convinces his classmate Ishida Naoki to try a cardfight with him. Ishida, though initially reluctant, becomes fired up by the game and eventually buys a Narukami trial deck, forming a small bond with Sendou. Aichi's primary struggle in the third season becomes the distance between himself and his old friends, reverting to his timid personality in an alienating environment like Miyaji, and the relative uselessness of his hobby in comparison to a serious world of academia where most of his classmates are preparing for college rather than playing card games. Manga Biography: In the manga, Aichi was originally a student along with his sister at Miyaji Academy elementary. He later transferred to Hitsue for middle school after facing severe bullying at Miyaji, and would later go on to meet Kai in Card Capital. While he would meet Misaki and Kamui as in the anime, their shop's spontaneous invasion by the Foo Fighters forces the Card Capital gang to strike back and try to regain Kamui's shop from gang's control. Spoiler warning: Manga details follow. While fighting Kyou, one of Ren's underlings, Sendou undergoes a gradual enlightenment in hearing the voices of the cards, and as his newfound powers develop he becomes more ruthless in battle. Their struggle to stop the Foo Fighters' use of fight gloves, electroshock instruments which torture the user when they take damage, eventually culminates in Kai mounting his own independent counterattack at Suzugamori's apartment. Aichi watches Kai's Dragonic Waterfall suffer defeat at the hands of Phantom Blaster Dragon, and is subsequently drawn into a mirror match with Ren's Shadow Paladin deck. Trying to understand Ren's feelings of hatred and despair, Sendou is eventually able to finish him with a last-minute draw into Exculpate the Blaster, realizing through communication through their Qualia that Suzugamori had been subject to the same sadness and bullying that he himself had been. In volume 6 Sendou transfers back into Miyaji for high school, intending to confront his past. He eventually participates in the Asia Circuit national tournament, placing first, with Koutei coming in second and Ren in third. To his surprise, Tatsunagi Kourin joins his class, just after the first meeting at the Circuit award ceremony. Rather than the King of Knights, Alfred, Aichi's manga self uses Alfred Early as his primary grade 3 unit, and he begins the story using Graeme instead of Stardust Trumpeter as his FVG. However, Soul Saver Dragon is still supported by his deck. Universal Notes: In all incarnations Aichi uses the Japanese pronoun "Boku," a pronoun used exclusively for male speakers. "Boku" is a nonthreatening pronoun reserved for young boys, and has largely been replaced by more masculine or assertive pronouns in daily speaking. His counterpart in the series in Ren, which is all but stated by their actions in rides 43 and 50, and Suiko's narration at the end of the latter episode. The two also share opposing birthdays, as Aichi was born on 6/6 while Ren was born on 12/12. 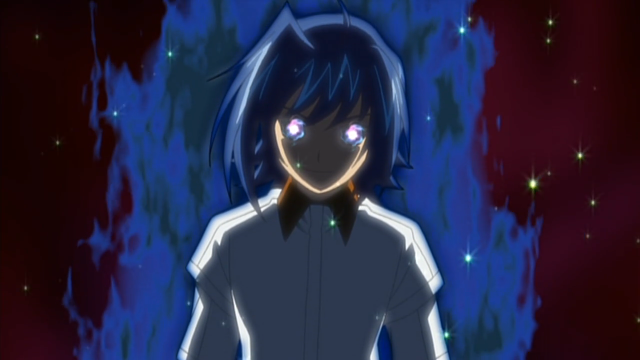 Fan Culture: The alternate Aichi seen in rides 43-50 is frequently called "Yandere Aichi" by fans, combining his name with a Japanese term for a sociopathic character in a relationship (usually the girl, though it can go both ways) who murders her rivals for someone's affection, or murders the person they love so that no one else can have them. 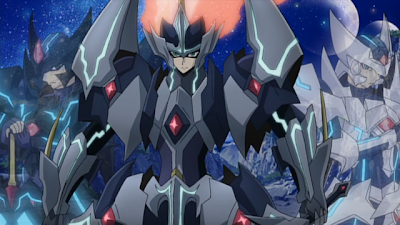 Tied to his personal theme of friendship, Aichi uses a Royal Paladin deck for the majority of the series, which focuses on swarming the field with many other units that are weak individually but powerful together. Aichi's strategy primarily uses a superior ride and deck-searching skill to ride Blaster Blade as his grade 2 vanguard, then utilizing Blade's skill to retire opponent rearguards. He also adapts two other tactics for his deck early on; the first is riding the King of Knights, Alfred as his grade 3 and calling other units to increase Alfred's power, and the second is to ride Soul Saver Dragon and give power increases to his already-called rearguards. Aichi's second deck is a modification to his first, perfected using cards from the second and third booster sets. With Yuri's coaching he's able to create a winning image, using High Dog Breeder, Akane and Pongal to add Soul Saver Dragon to his hand, then using the Saver Dragon's skill to empower his rearguards. While the tactics he employs with this deck are nearly the same as his first, they are refined to omit unnecessary cards and achieve his intended results more quickly. 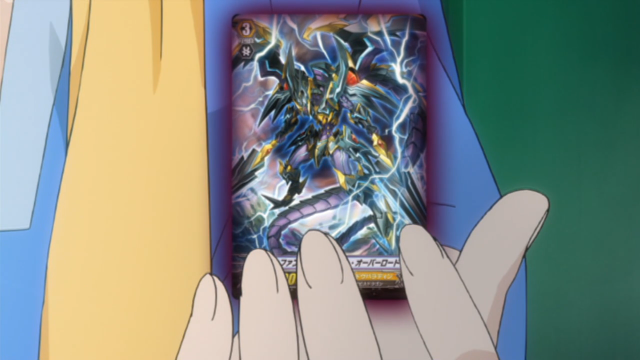 Aichi's key cards while using his Shadow Paladin deck are Blaster Dark and Phantom Blaster Dragon. His strategy is to use Fullbau and Blaster Javelin to add Dark to his hand from the deck, keeping card advantage early in the game, then using the Blaster Dragon's skill to retire his rearguards for extra power and critical. Worth noting, though Aichi puts every effort into riding Phantom Blaster Dragon during his four fights held with this deck, he only ever hits with its Damned Charging Lance in half of his fights, against Bidou and Gunji. In general, while Aichi plays Shadow Paladins well, he lacks the same level of skill that he had with his own Royal Paladins and his strategy lacks the offensive push that Ren's does. Though incomplete, Aichi's fourth deck is shown to use cards from BT05 in a form that builds in concert with his old strategies. His new starter accommodates for the September 5th Barcgal ban, and Alfred Early is now implemented with the intent of bringing out Blaster Blade a second time. Sendou's final deck of season one is a mix deck, incorporating Blaster Dark into it. This build is supported by his count of "Blaster" deck searchers--Wingal Brave and Starcall Trumpeter--as well as rearguards themed around having a "Blaster" vanguard. During the Asia Circuit, Sendou is forced to switch temporarily to a Gold Paladin deck. This new deck, rather than being an outgrowth of the primary style he developed as a Royal Paladin cardfighter, shows heavy influence from the King of Knights strategy Aichi developed early in season 1. Using the Great Silver Wolf, Garmall he can superior call a grade 2 or lower Gold Paladin unit, and use his limit break to gain power while attacking vanguard units. In anticipation of the upcoming Asia Circuit, Aichi reconstructs his deck shortly after arriving in Singapore in ride 70. 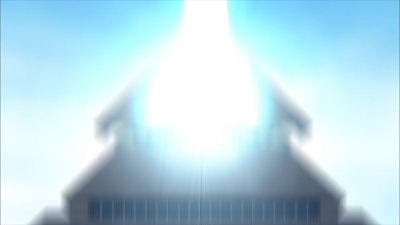 His new construction uses the Incandescent Lion, Blond Ezel he received as a gift from Kourin as its focus, pressing the game with the unit's limit break. To strengthen his early game, Aichi switches his first vanguard to Kyrph, using its skill in conjunction with Beaumains and Gareth to superior ride Ezel. Built in the style of his previous Royal Paladin decks, Aichi's third Gold deck omits Kyrph much as his last Royal deck omitted Barcgal. Using Spring Breeze Messenger as his new first vanguard, Sendou gears this deck toward superior calling key units to prepare for following turns, planning out his fights step by step. 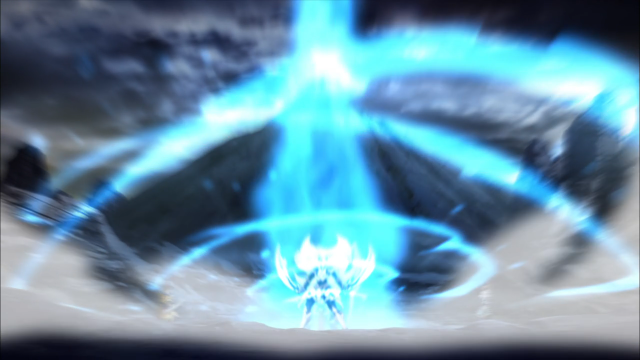 As a followup tactic, Spring Breeze and Viviane are used in the hopes of calling out Lop Ear Shooter, who can then call White Hare in the Moon's Shadow, Pellinore to activate Pellinore's superior ride mid-battle, standing his vanguard much as Suzugamori Ren had done earlier in the season with Spectral Duke Dragon. This deck is one of his definitive builds of the season, bringing together all of his past strategies along with what he had learned from the fighters he met overseas. Aichi's final deck of the season is built in the style of his final Royal Paladin deck, converting to Ezel-based skills rather than Blaster-based ones. Despite this return to an Ezel focus, Sendou continues to avoid Kyrph, instead relying on a card with more targets, Dreaming Sage Corron. With Corron he can search out any piece in the Ezel crossride series, adding either Blond Ezel or Platina Ezel to his hand at will. Because of this new focus, the deck is reoriented around quickly putting together an ideal field using Ezel, Nimue, Kahedin and Silver Fang Witch, to bolster its strength with Platina afterward. Sendou treats Platina much as he once did Soul Saver Dragon, relying on his ultimate break only for the turn that he rides him rather than sitting on its high base power and waiting to use the break later. Despite the superior speed that War-horse, Raging Storm could afford him, Sendou's take on the deck eschews this card and as a result is somewhat slow. Following the unsealing of the Royal Paladins and the beginning of the third season, rather than converting back to the clan that he had used for four years previously, Sendou chooses to stay by the Gold Paladins and rebuild his deck around the cards that he relied on in the first season, reimagined as Gold Paladins. These cards, drawing from the Liberator subgroup, each gain power for having either a vanguard or a certain number of rearguards with "Liberator" in their name. Despite being less developed compared to his previous decks, Sendou is nonetheless extremely proficient with his new strategy, based on a combination of Blaster and Soul Saver play. The Liberator of the Round Table, Alfred, rounds out the strategy by bringing him the base 11000 defense that he enjoyed under Phantom Blaster and a limit break that gives him +2000 power for each Liberator rearguard, without the restriction of being unboostable. This gives Sendou a powerful late game, able to reach numbers that Alfred never could previously. 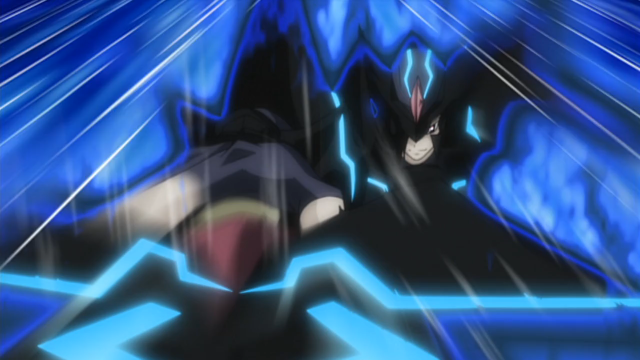 Aichi's manga deck is, like his initial anime deck, built with Blaster Blade and Soul Saver Dragon in mind. However, his primary grade 3 is Alfred Early. Aichi plays much more conservatively in the manga, rarely calling any units except to rush the opponent when riding to grade 3, and is less aggressive with deck searching. Beginning with volume 6, Sendou starts to incorporate Blaster Javelin Normally as a key grade 2 ride, soulcharging two units to call two High Beasts. Exculpate the Blaster is included as a temporary transformation sequence for Blaster Blade, to wipe out his opponent's field and overwhelm them with power derived from an alternative soulblast. 1. "先導アイチ." KeroKero Ace Vol. 45 1 Sept. 2011: 2-6. Print. 2. "AICHI SENDOU." KeroKero Ace Vol. 51 1 Apr. 2012. Print. 3. Cardfight!! Vanguard Ride 14. Crunchyroll, 2011. Web. 14 Mar. 2012. 4. "Cardfight!! Vanguard English Version - NicoNico Channel." NicoNico Channel. NicoNico Douga, 11 Mar. 2012. Web. 14 Mar. 2012. <http://ch.nicovideo.jp/channel/vanguard-dub>. 5. "Aichi Sendo." MyAnimeList. CraveOnline Media, LLC., n.d. Web. 14 Mar. 2012. <http://myanimelist.net/character/39539/Aichi_Sendo>.